Two cardinals, Red and Lulu, live in the branches of an evergreen tree, but are separated when the tree is cut down and delivered to New York City for the holidays. Despite their home being taken away, the cardinals find a way to be together again. 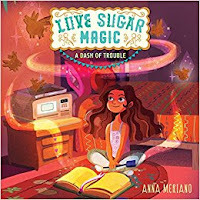 The sweet story, along with the gorgeous illustrations, will bring the magic of the holiday season to readers' hearts. This is sure to become a Christmas favorite. 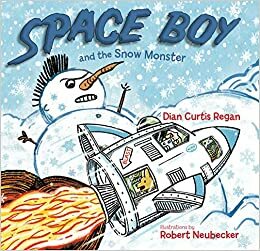 Space Boy and the Snow Monster is a picture book written in a graphic format. Niko is playing in the snow in his backyard with his dog, Tag, when he loses his copilot, Radar, who is actually a small robot toy. Niko imagines he travels to Planet Ice where he searches for Radar and has to defend himself from a snowball attack, a killer bunny, and the Snow Monster, who looks a lot like his sister. The story is fast-paced with a lot of action and shows the fun of using one's imagination. I'll put this book out for my students this week and I imagine, with the first snowflakes of the season having just fell this weekend, that this book will be scooped up quickly. I won this book in a giveaway on the Unleashing Readers blog, so thank you to them and Blue Slip Media. Princess Pulverizer, her birth name Princess Serena, would rather be a knight than a princess. Her father tells her she must be smart, brave, and kind to be a knight and sends her on a Quest of Kindness. To prove she has what it takes to be a knight, Princess Pulverizer must complete eight good deeds. As she begins her quest to complete her first good deed, she gets locked in an ogre's castle and makes new friends. This is an amusing adventure about three characters, a princess, a knight, and a dragon, who don't quite fit the mold they are meant to fit. 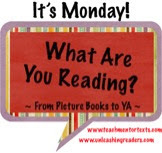 This is a book for transitional readers who enjoy fantasy and humor. This book publishes in January. There is so much to love about this middle grade novel. 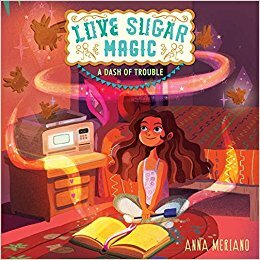 The characters are wonderful and true-to-life, the plot is interesting and magical, and it will be a book that is relatable to middle grade readers while also giving insight to some who may be reading about a culture different from their own. Read my review of this book, which publishes in January, here. 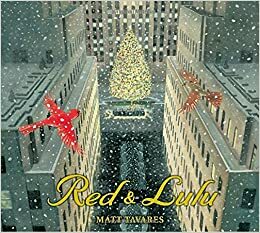 I love Red & Lulu, and it will be a new beloved Christmas book! The others are new to me. Princess Pulverizer sounds very cute and thanks for Love Sugar Magic. . . Lisa. Going over to read the review! Red and Lulu sounds charming. Linda is right - another Christmastime favorite. I just borrowed Red and Lulu from the library yesterday. Really looking forward to reading it soon. I've been seeing Red and Lulu everywhere, I need to get a copy!! I just ordered Red & Lulu and received it Monday. I planned on including it on my blog next week. 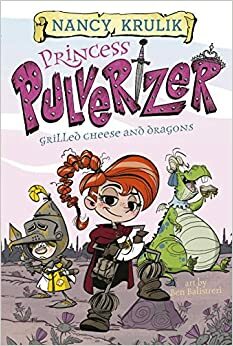 Princess Pulverizer sounds like a great transitional book for some of my younger readers.